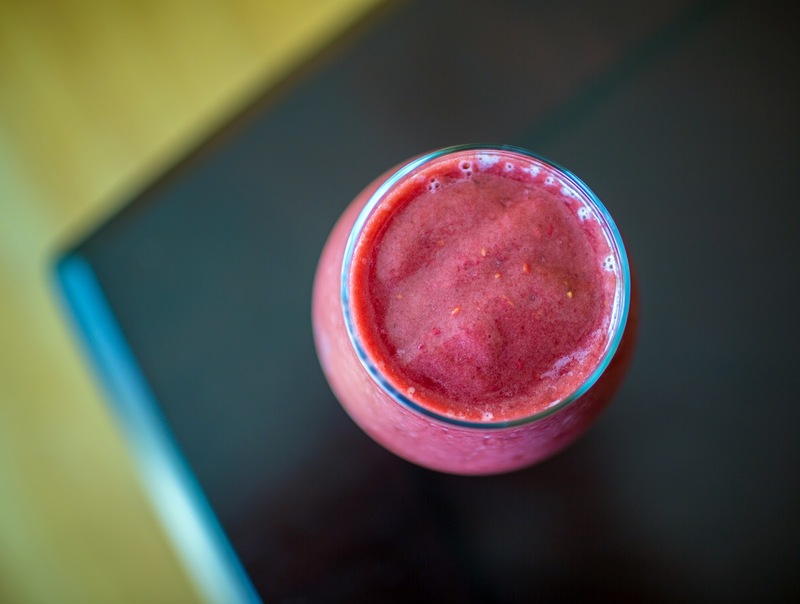 Get your day off to a colorful start with this vibrantly hued smoothie that also happens to be packed with nutrients. Green vegetables, like kale, spinach, cucumbers and celery, aren’t the only smoothie friendly vegetables out there. Somewhat more unusual, yet equally delicious and nutritious are beets. Beyond the amazing color, beets offer a healthy dose of iron, fiber, folate, vitamin C, and potassium. Additionally, beets have been found to help lower blood pressure and to help fight inflammation. In this recipe, I use cooked beets. Steam or roast a batch of them ahead of time. This makes it much easier to use them in a variety of recipes on a whim. If you really want to make it easy on yourself, I discovered that you can buy pre-cooked beets in the produce section at many grocery stores. I saw an 8.8-ounce package of organic ones by a company called Love Beets at Whole Foods. What about using raw beets? Well yes, you can use raw beets (washed, peeled and grated), but I would only recommend that if you have a high-powered blender like a Vitamix. I do not have one of those. So, if you're like me with a regular blender, stick with cooked beets. Otherwise, it will be a serious struggle to get a smooth consistency. 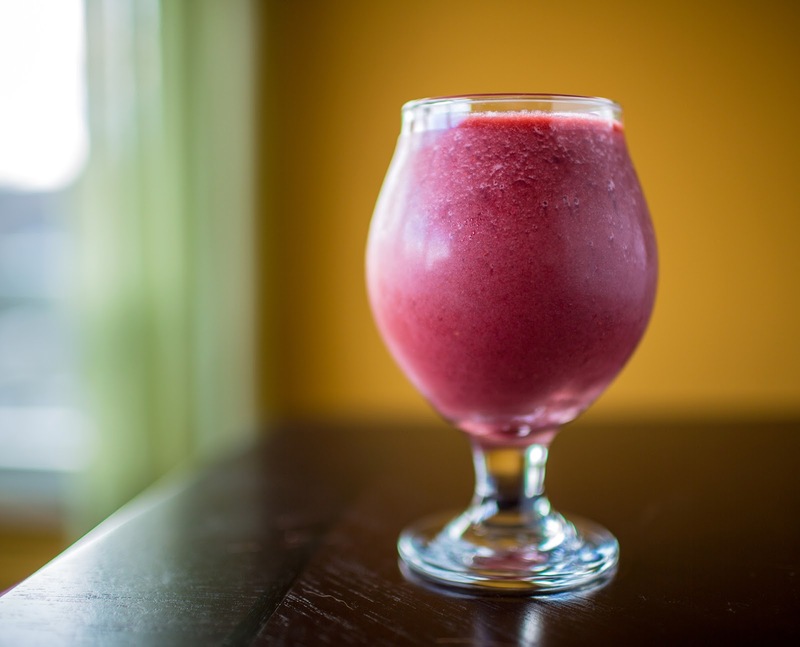 In general, even with a fancy blender, smoothies with raw beets tend to not be as smooth. I think my combo has just the right balance of the earthy beets to the sweet fruit. The thing is, I love beets, so I don't mind actually being able to taste some of their earthy goodness. If you don't like beets all that much, well, try adjusting the fruit to beet ratio to better suit your taste. Starting with the liquids first, add all the ingredients into the blender. Cover and puree until smooth.